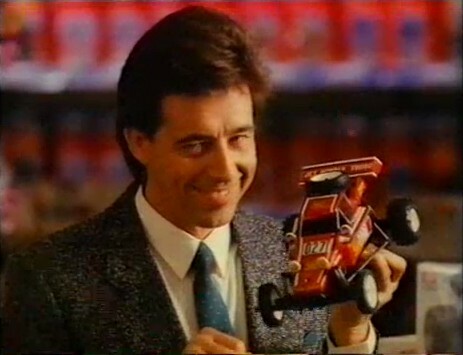 With Christmas approaching once more, I always find myself reminiscing about old Christmas memories in the 1980s in Australia – hot summers, cool toys, and even cheesy TV commercials. Just for fun, here are two old Australian TV commercials in which the Metro/Taiyo Jet Hopper R/C buggy is shown as one of the hot toys for Christmas. The ads are for the Australian department store Myer and the Australian K-Mart supermarket chain, and both date from Christmas 1986.